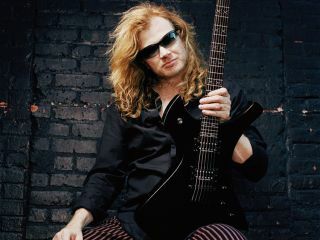 Megadeth's Dave Mustaine has been confirmed to appear at the Music Live show at Birmingham's NEC this November. Music Live runs 7-9 November with Joe Bonamassa another star attraction. MusicRadar is talking to Joe Bonamassa in the next few days, so please ask him your questions. After writing about renovation work carried out on Megadeth's current studio, Mustaine adds: "I am going to have about a week off at the end of next week to keep going over song ideas and parts for this project and I am so excited to see the path is getting cleared in front of us for another heavy and exciting Megadeth record." Get the full line-up for Music Live.